On a family trip in 1986 I was faced with something of a dilemma. 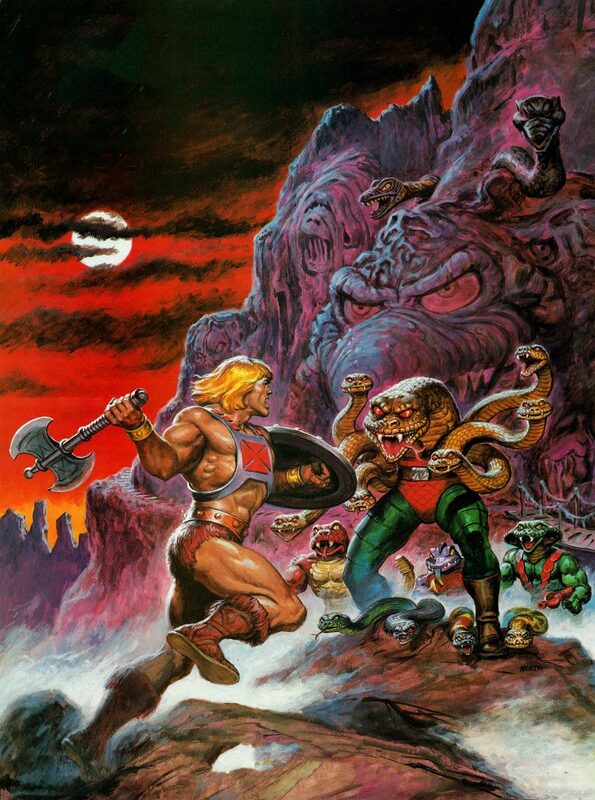 On the way to California in the car, we had stopped off at store that had a nice selection of He-Man toys, and I was told that I could pick two. 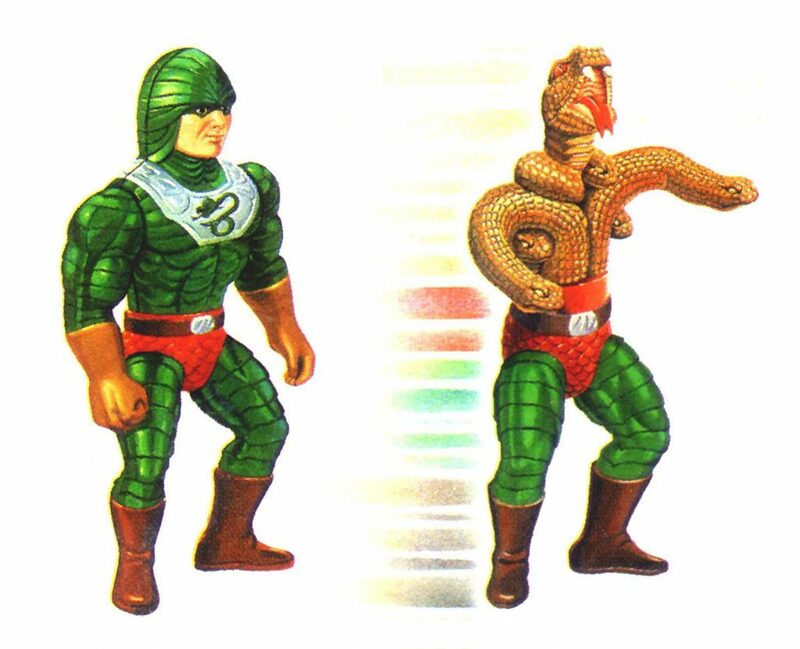 I was determined that both figures be Snake Men, but which ones to get? When Mattel and Filmation were working on the She-Ra Princess of Power animated series, they designed lot of characters in concert. 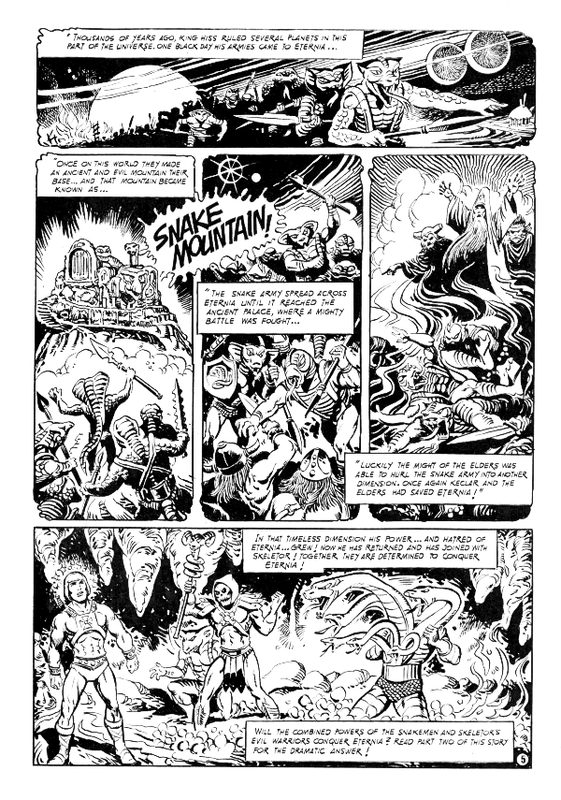 The Evil Horde cartoon designs were meant for She-Ra’s show because the He-Man series had ended on its second season. 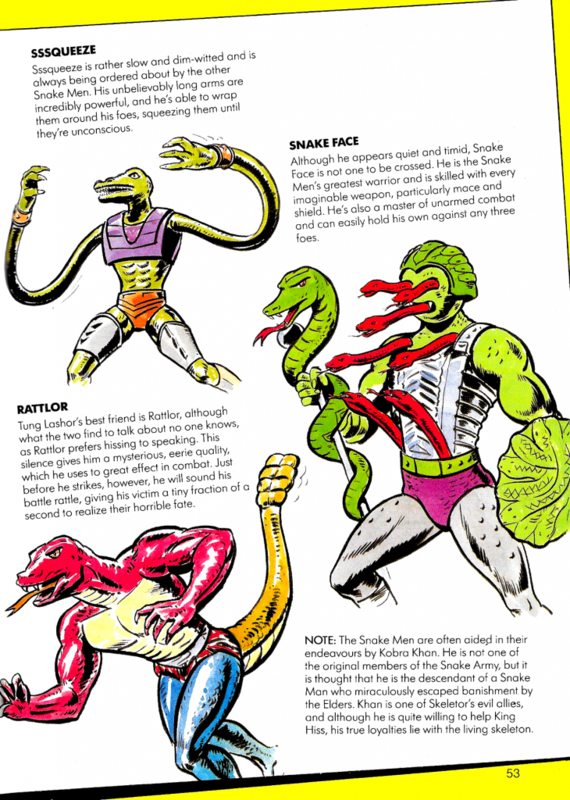 Characters like Rattlor and Tung Lashor were created very early on. 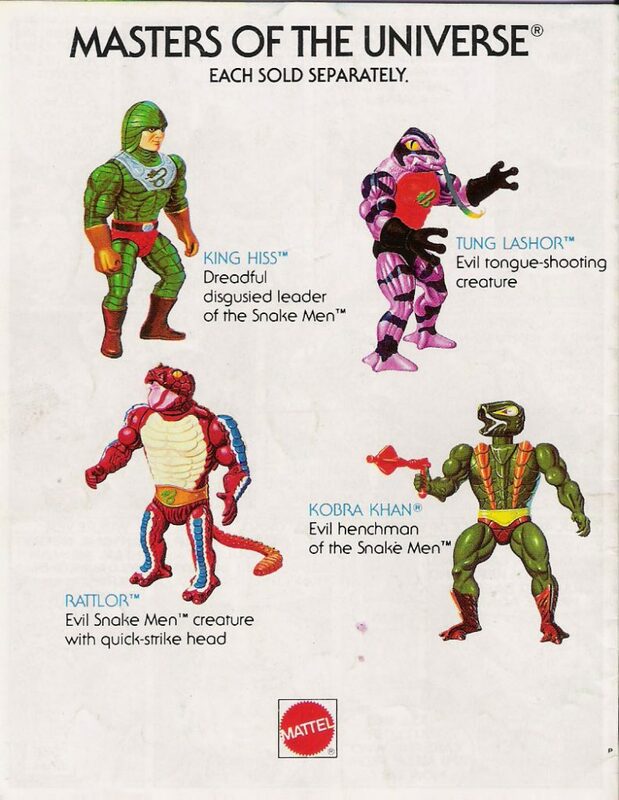 Mattel would later come up with a third evil faction, thanks to Tim Kilpin; the Snake Men, into which King Hiss was created. 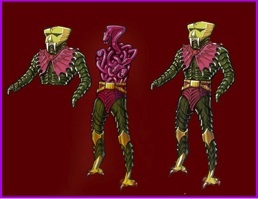 Rattlor and Tung Lashor served him, with Kobra Khan was retconned into the group as well. 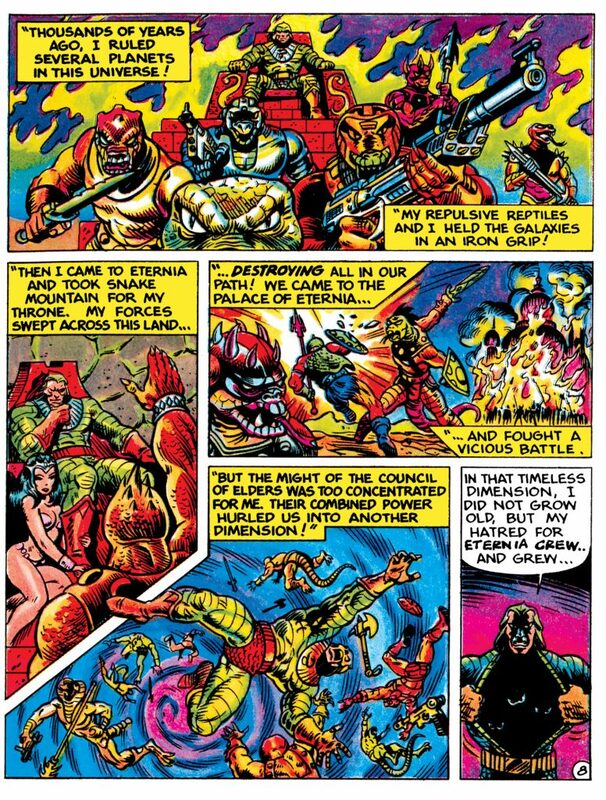 Various minicomics acknowledged Rattlor and Tung Lashor working for Evil Horde and used them from there on out as King Hiss’ servants. 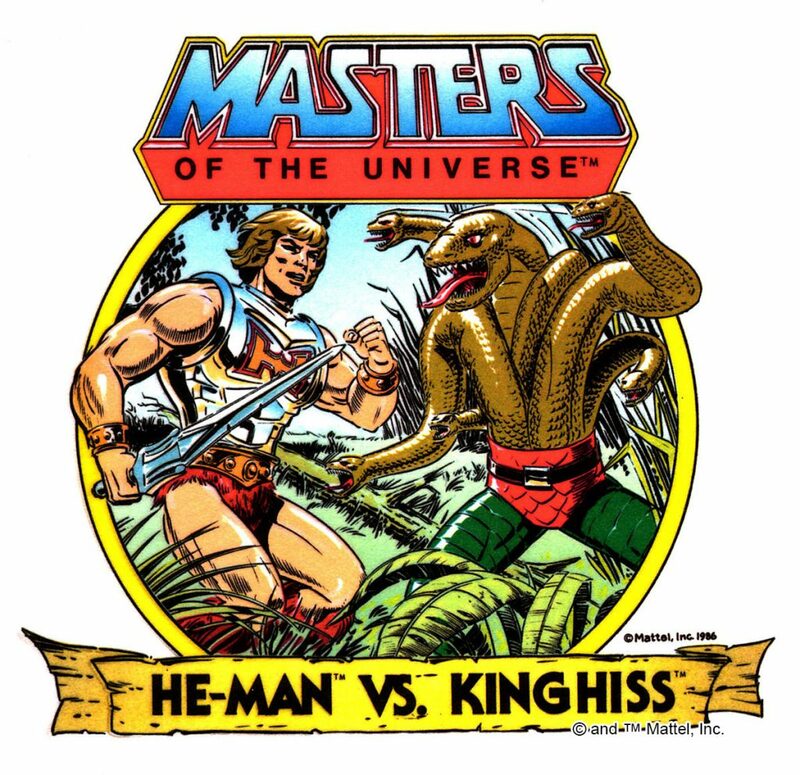 There doesn’t seem to be any evidence that King Hiss was being planned for Filmation’s He-Man or She-Ra cartoons. 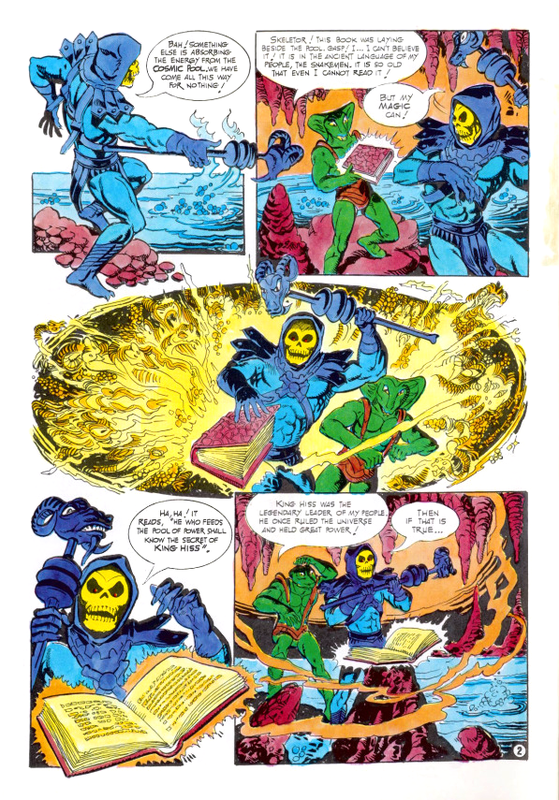 During the She-Ra series, Rattlor and Tung Lashor sometimes were aligned with Skeletor, and sometimes with Hordak. 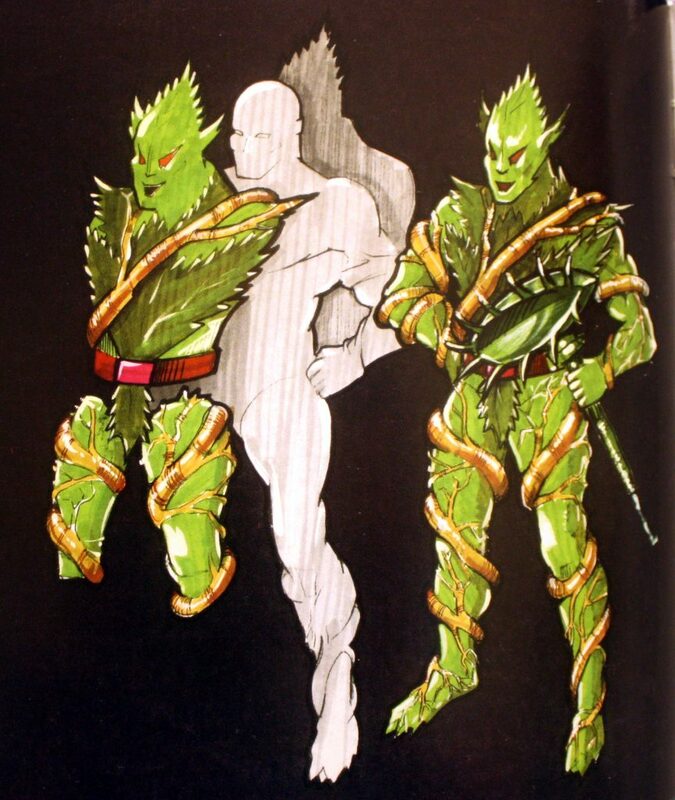 Ted’s concept art was quite creepy, both on the inside and on the outside. 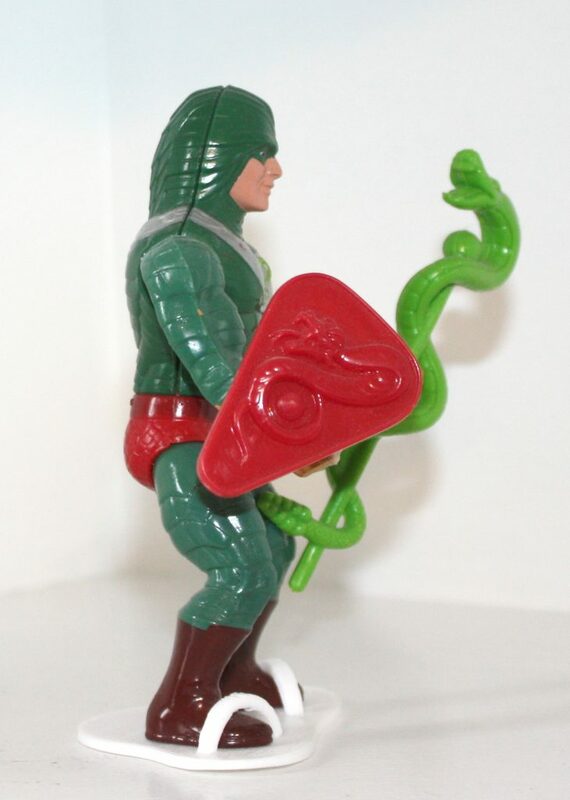 The toy design, on the other hand, was greatly toned down in comparison. 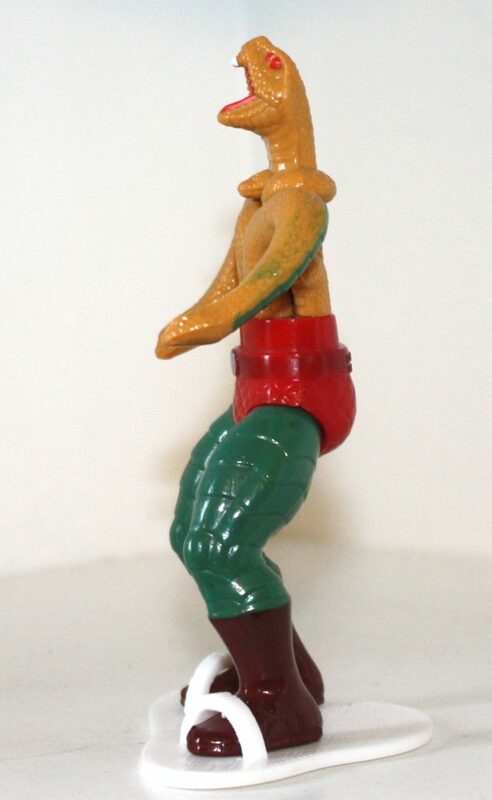 The outside of the figure was given a heroic appearance. 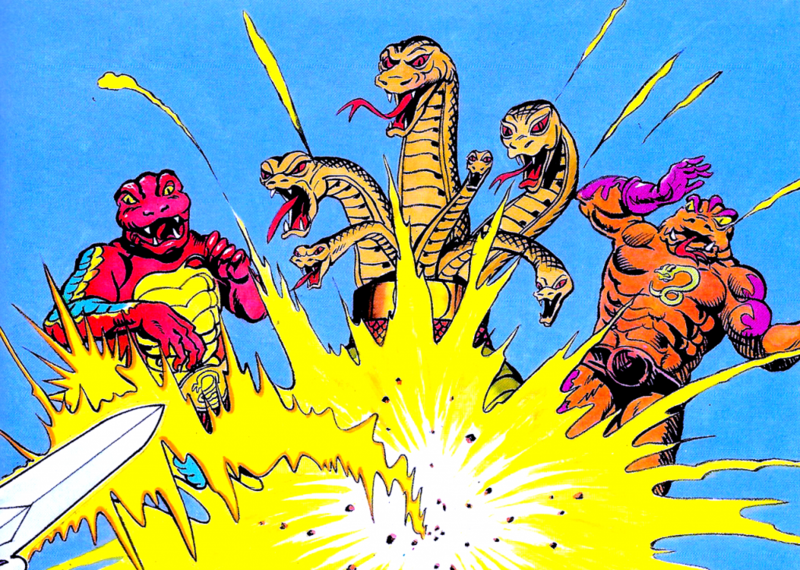 The idea was that King Hiss could trick the heroes into believing he was on their side, only to betray them and reveal the mass of snakes underneath. 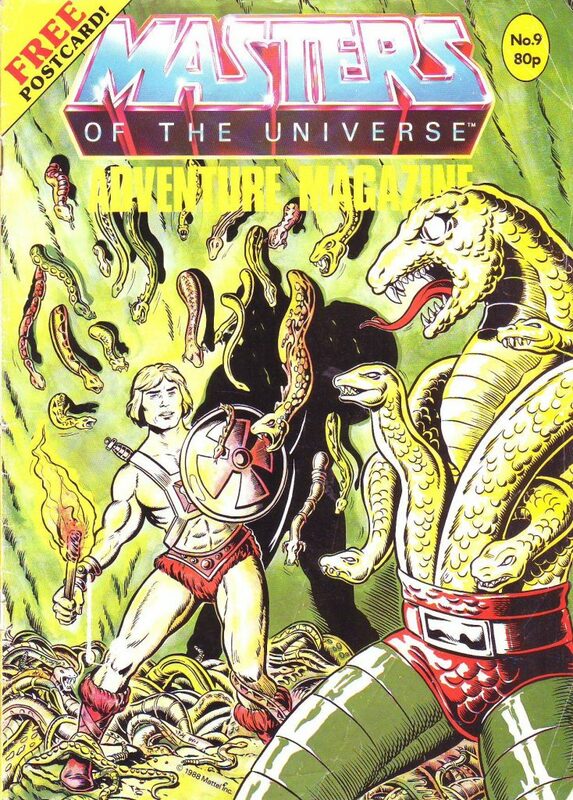 The mass of snakes was unfortunately limited by the constraints of having to fit inside a plastic shell depicting the human costume, so the snake part of the figure was a bit underwhelming. The shell of the costume consisted of four parts. 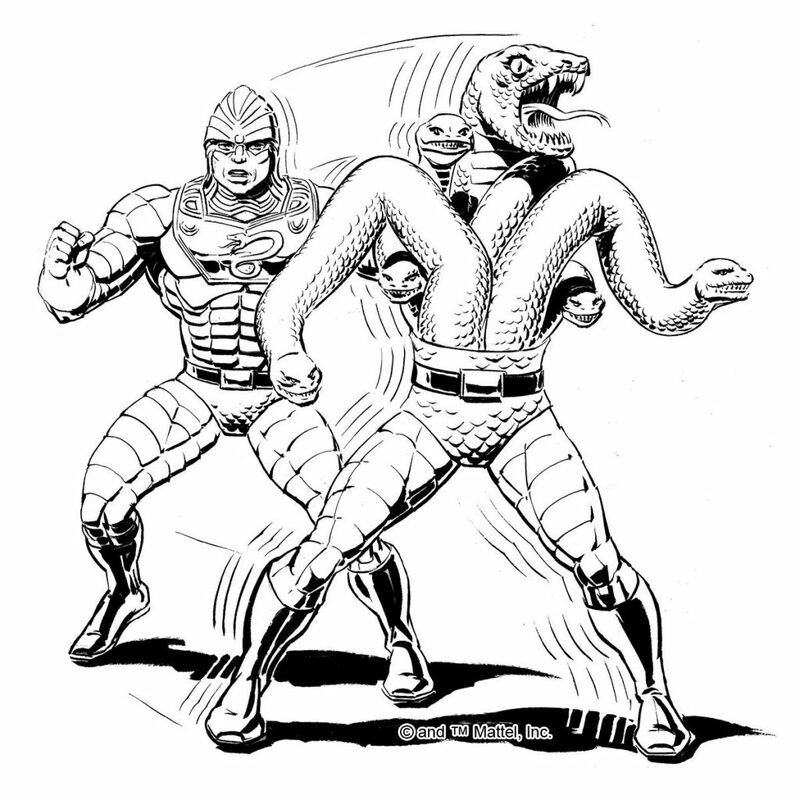 The front and back of the chest and head, and the two arms. The torso piece completely concealed what was underneath, but the arms were open at the back. 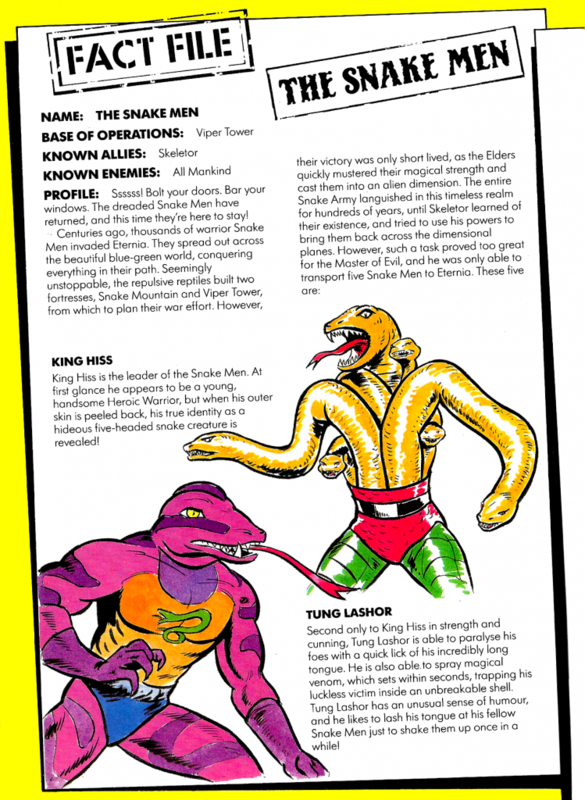 Consequently, the backs of King Hiss’ snake arms were painted green to match the external disguise. 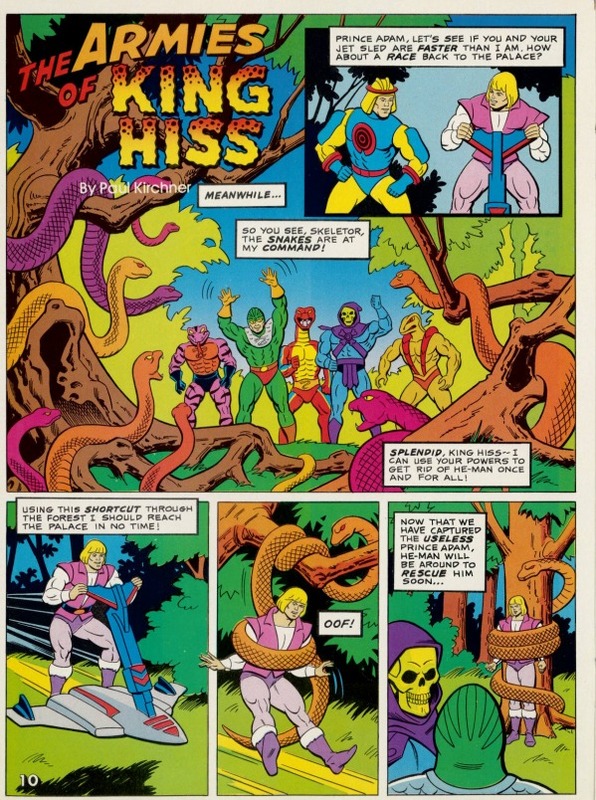 King Hiss was given a serpent shield and snake staff. 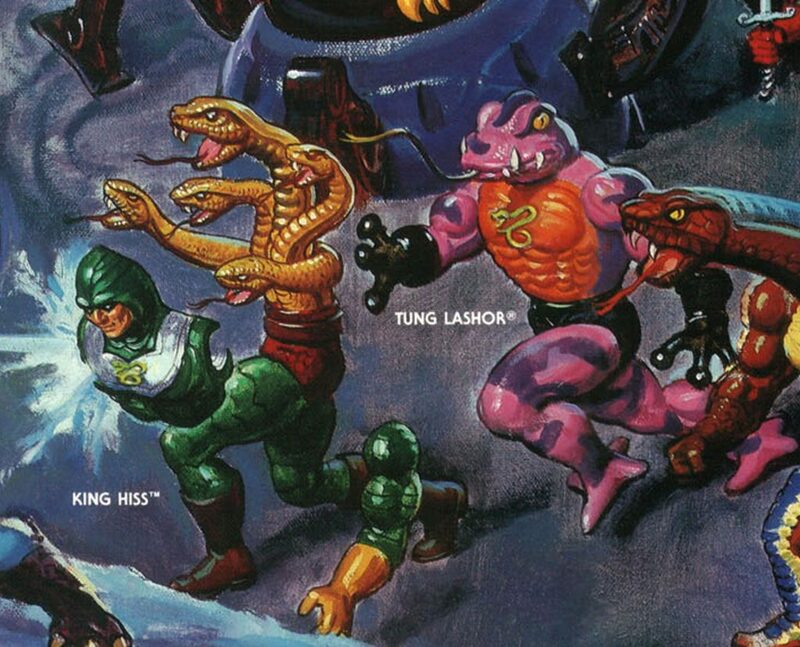 The staff would be reused for Rattlor, Tung Lashor and Snake Face, and consequently is one of the most reused weapon designs in the MOTU line. Everything else on King Hiss was a unique piece. 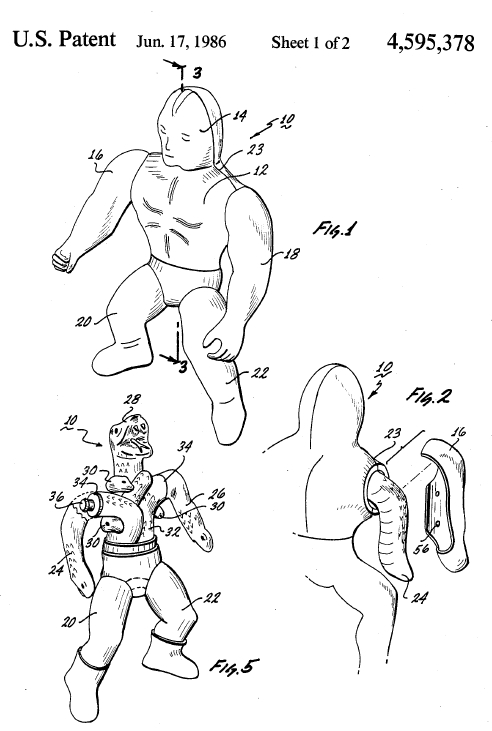 On September 27, 1985, Mattel filed a patent claim on King Hiss. The inventors listed are Roger Sweet and Ted Mayer. 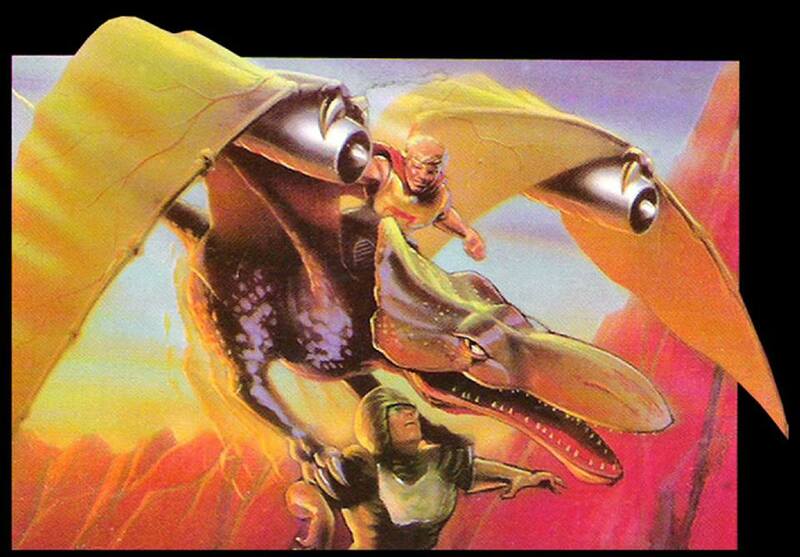 King Hiss’ artwork on the back was done by an unknown artist. 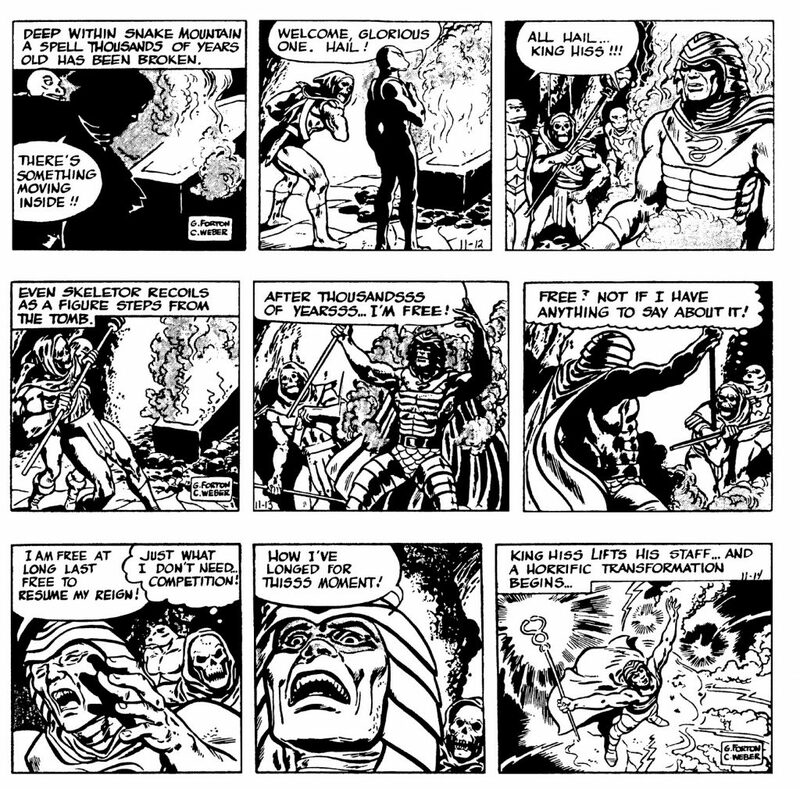 Uniquely, it functions like a three-panel comic, telling the story of King Hiss’ gimmick. 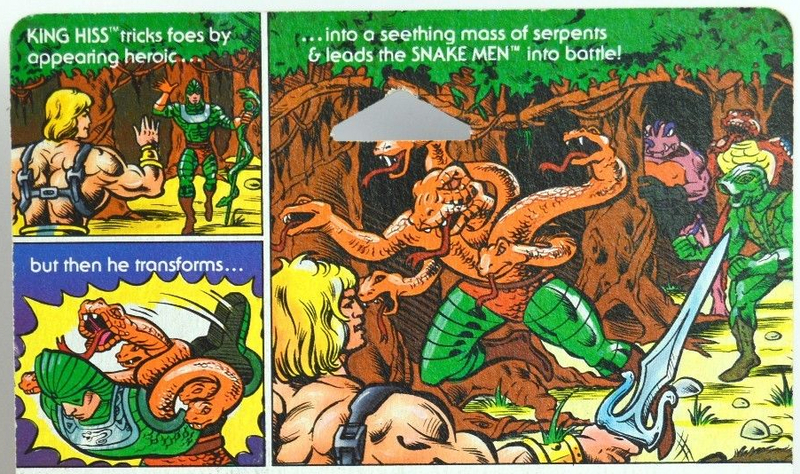 Power: Disguises himself as a Heroic warrior, then peels back skin to reveal a snake creature – designed to take victims by surprise. 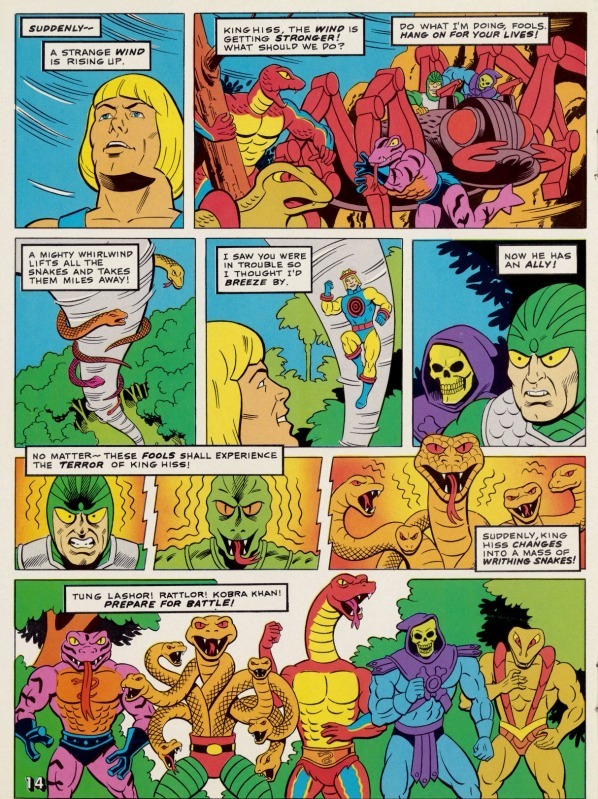 Later in the story, King Hiss tells He-Man how thousands of years ago, he was rule of an empire of Snake Men that held dominance over several other planets. 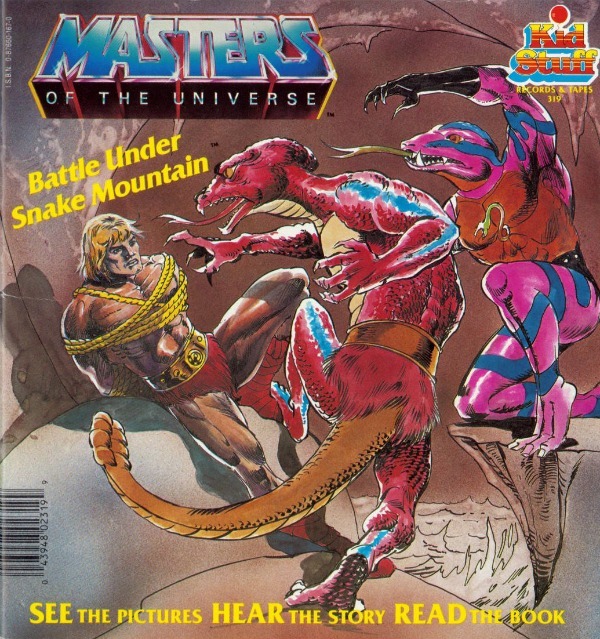 He came to Eternia and took up residence in Snake Mountain. 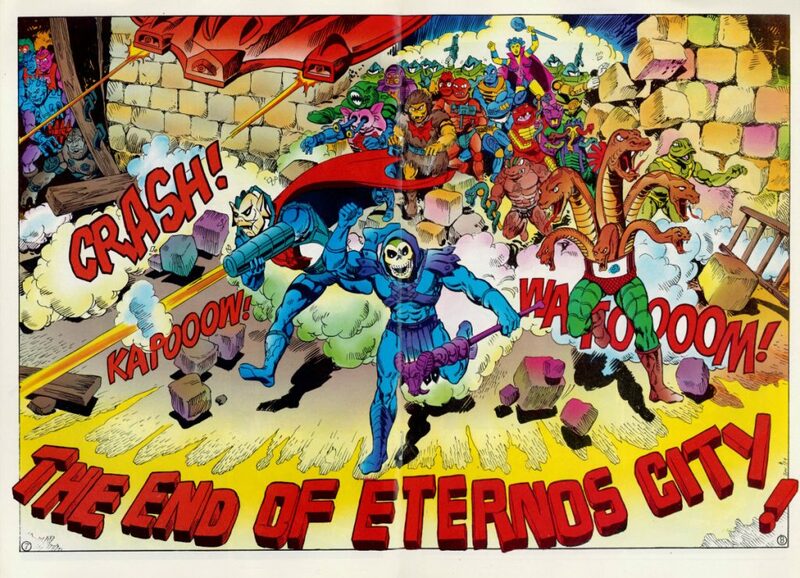 Ultimately he was banished to another dimension by the Council of Elders, until Skeletor freed him. 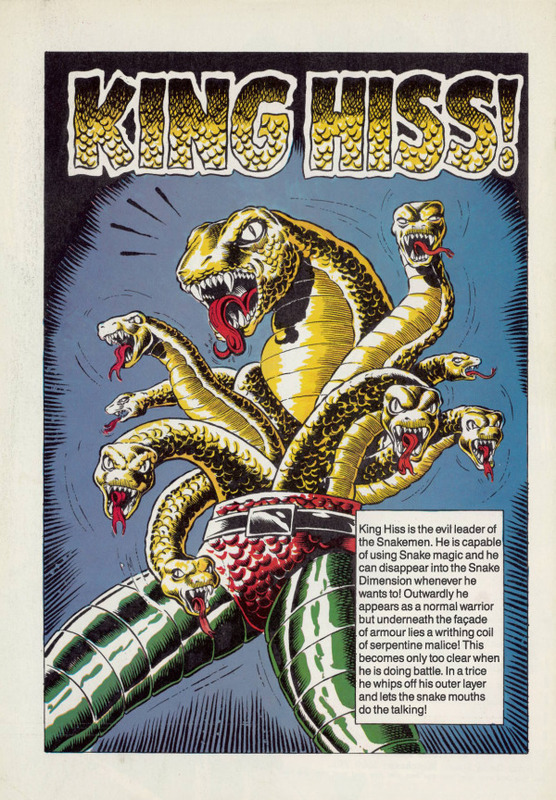 King Hiss had his limitations as an action figure, but he was actually an interesting concept and pretty fun to play with. 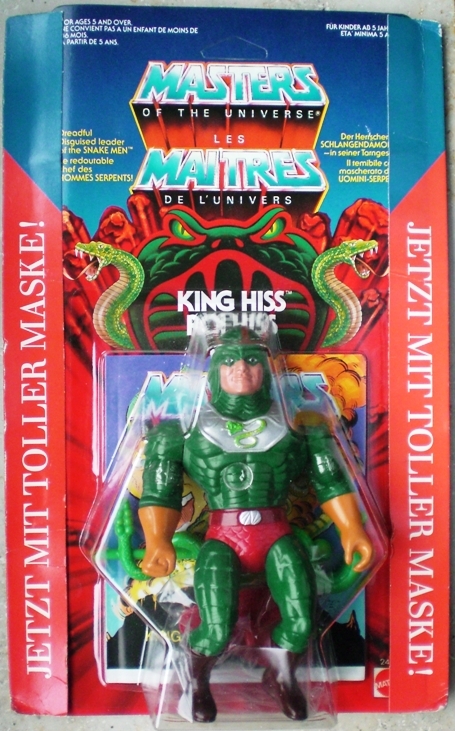 It took until the ’02 Masters series to make King Hiss’s inner body (bodies?) 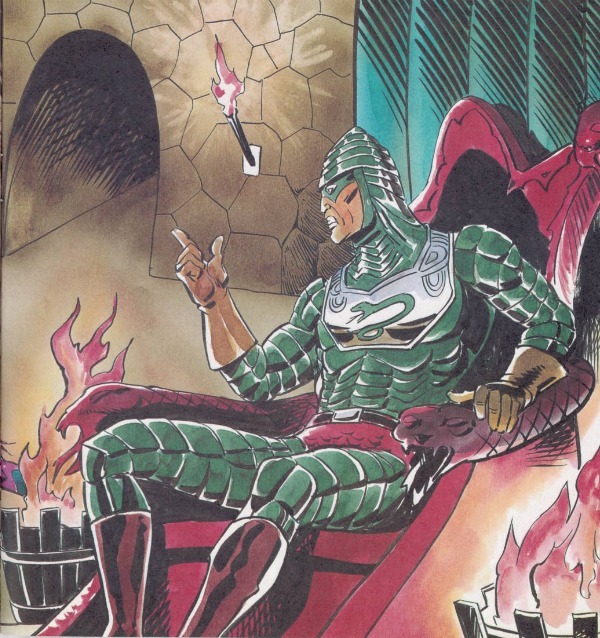 look really intimidating–the Classics Serpentine King Hiss is too damn cool. The original figure looks kind of adorable, especially in comparison. 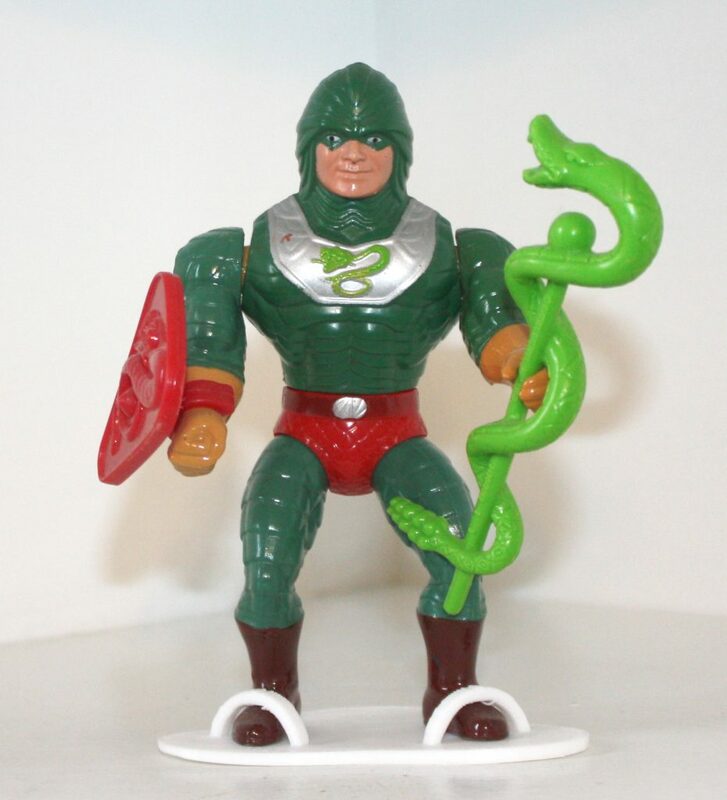 As kid I really liked the concept behind King Hiss, his design and his shield: don’t ask me why, but I always loved when an action figure has a shield XD However I agree that what is under his disguise is not very imposing or menacing like a Serpent King should be. 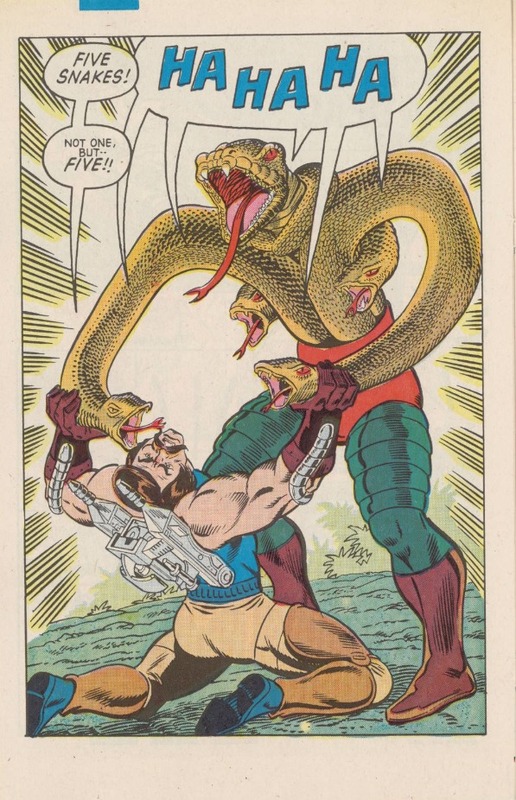 I always liked the idea of Hiss as a consumed, dangerous con man and schemer and his “good guy” disguise is perfect for the role…. 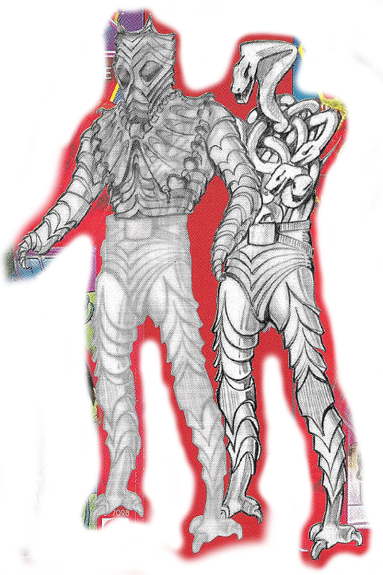 unlike his 200X redesign, who cannot even pass for a human and transforms only for the shock effect. 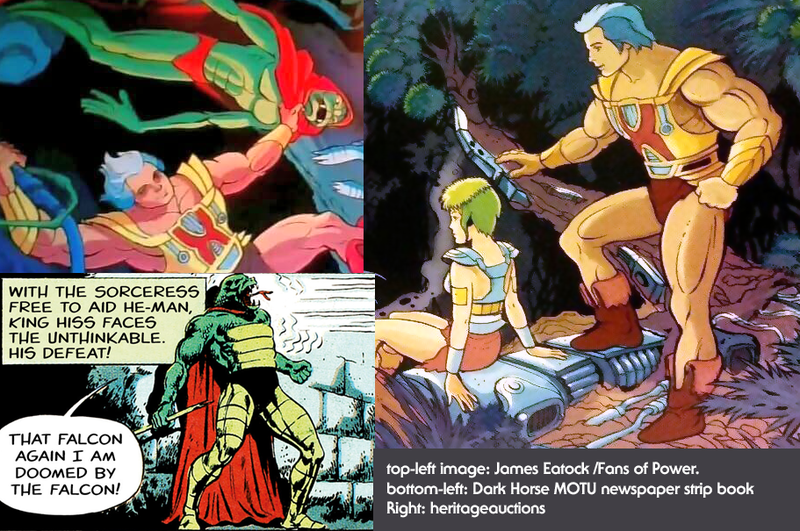 The unused animation model looks strikingly similar to the character of Hobb the Grith from the early 90s Cadillacs & Dinosaurs cartoon. 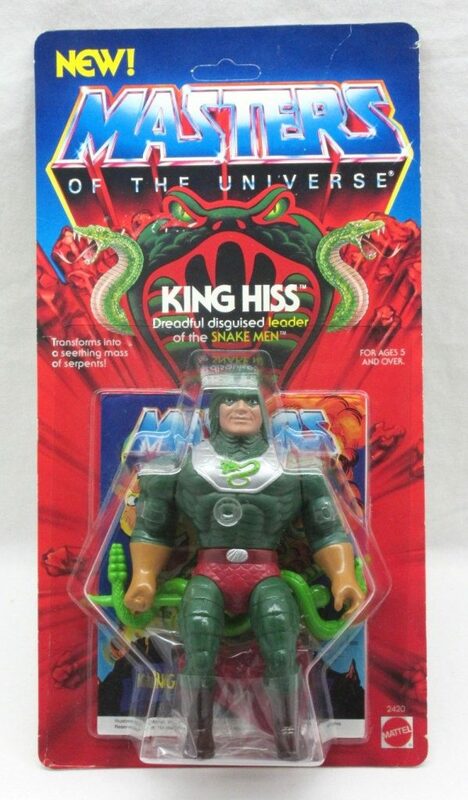 King Hiss is one of those figures for which I specifically remember the first time I saw him; he was that memorable. I, too, felt that the limitations of the figure’s design severely compromised the concept, but that concept was so damn cool that I loved the figure anyway! 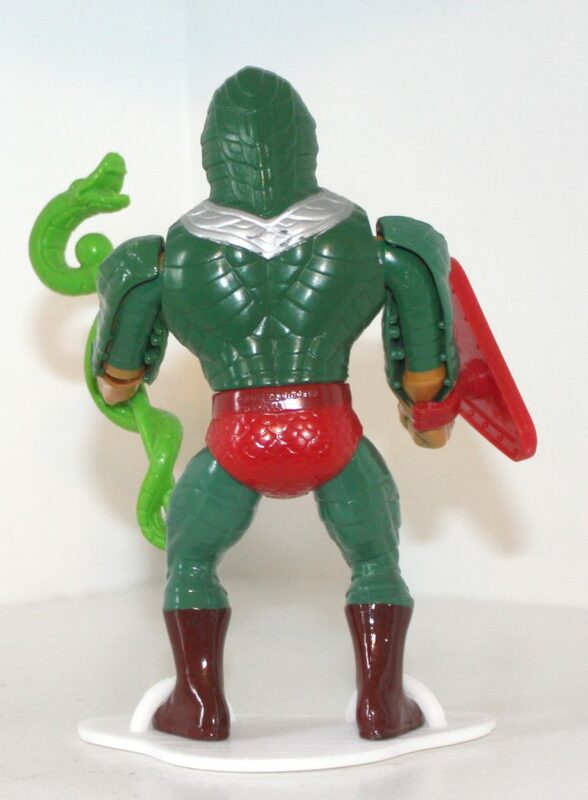 (And now, thanks to the MOTUC line, I have the King Hiss toy I always wanted in Serpentine King Hiss!) 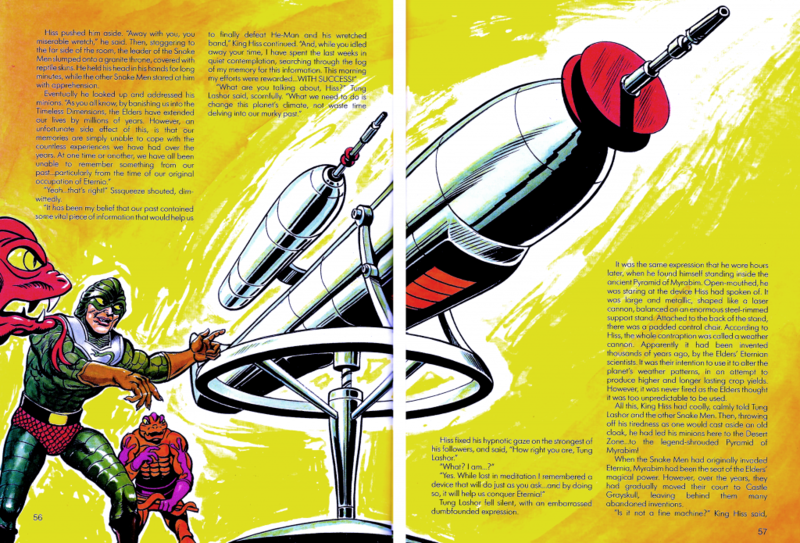 The included minicomic is one of my favorites, and Bruce Timm’s art plays a big role in that. 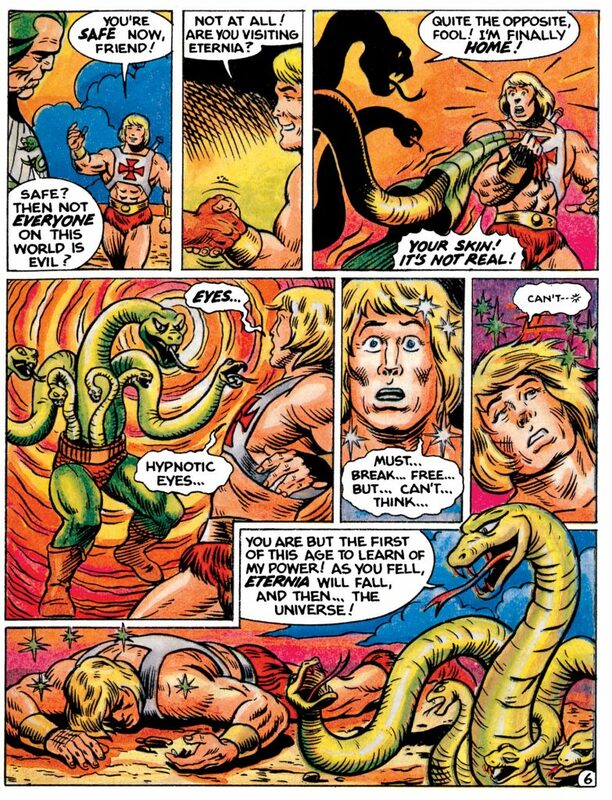 The panel at the bottom of page 8 where Hiss is holding his “skin” open, revealing the serpents lurking in the darkness within, has been indelibly etched into my mind from the moment I first saw it. 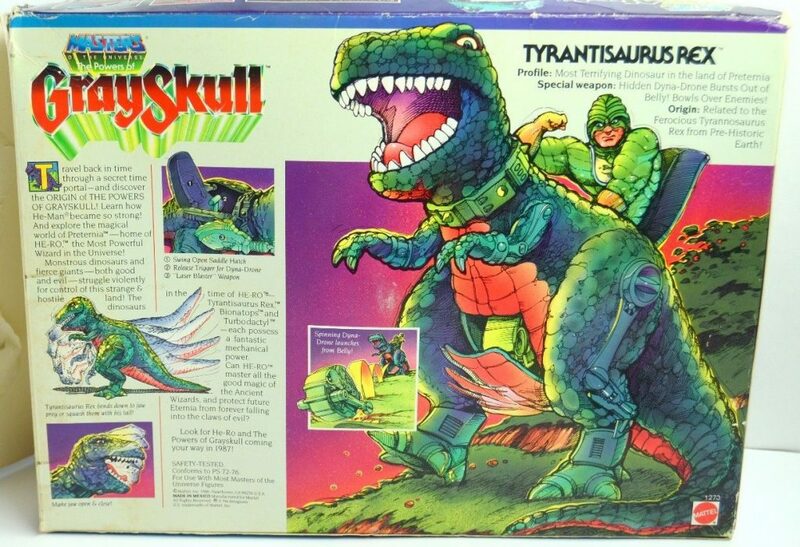 That was metal as hell to seven year-old me! 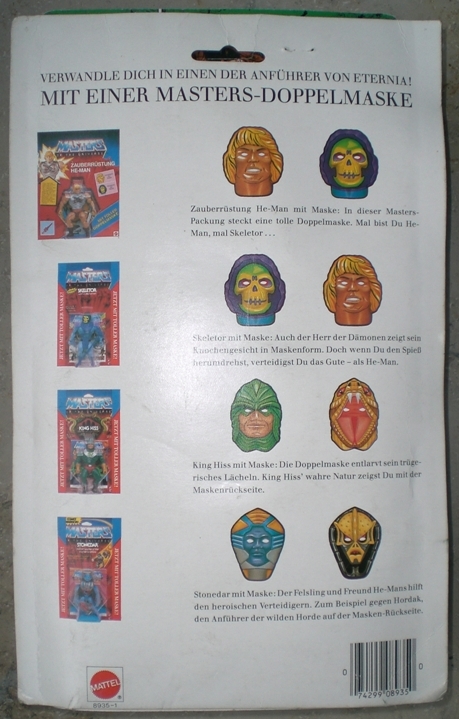 I never felt the “heroic disguise” bit really worked, though. Even in his disguised form, he still looks fairly sinister. I figured it was enough that the disguise hid the mass of serpents from view. Surely that’s a big enough shock without also revealing the dude is evil! 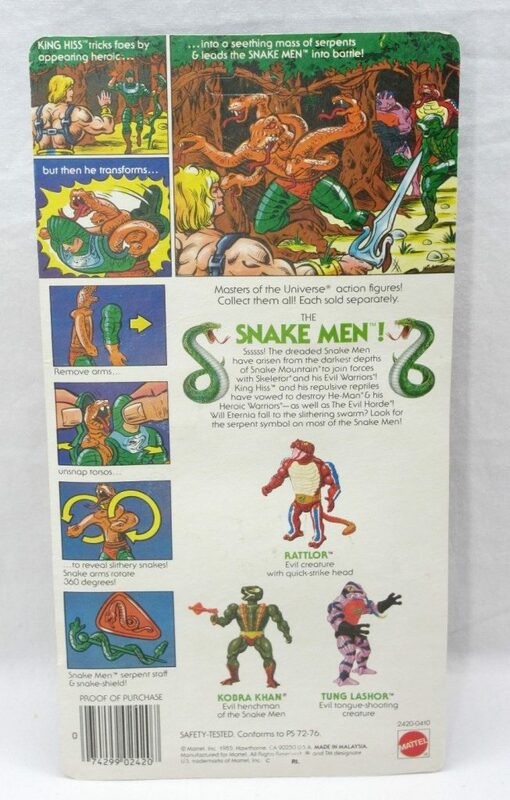 On a side note, it used to bug the hell out of me that Hiss’s description was misspelled as “Dreadful disgusied leader of the snake men” on the backs of some of the minicomics and packages. 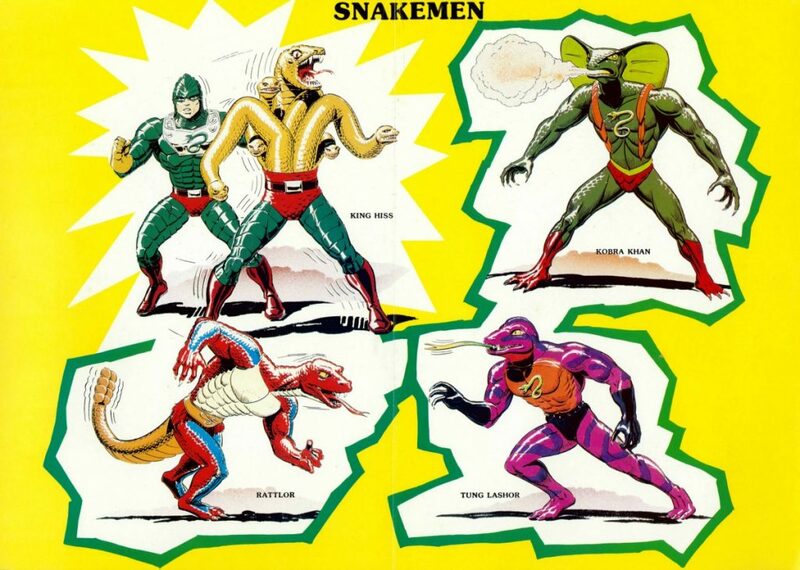 Even though you guys don’t think the snakes for that intimidating I understand why they were put the way they were. This figure was one of my favorites. The Classic’s King ‘Hssss’ was one of the figures that shows that the classic line is mostly pretty rubbish in my mind.. Okay, the Gimmicks like the original had limits, but that was what the figures were about.. replacing them with while more detailed (often wrongly) but scrapping the gimmicks shows how poorly the figures can be made… one of these ‘it’s a figure for the collectors market’ which is inflating the prices of these things..
anyway.. on to a better note, around this time was an interesting time for shell figures. 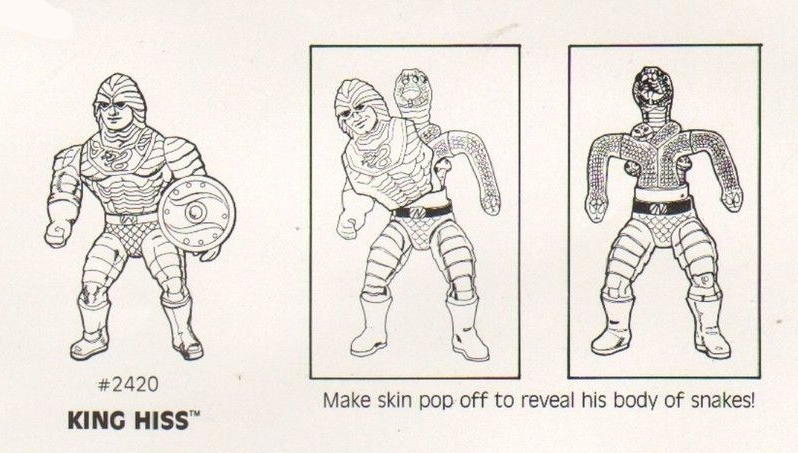 in 1988, Hastak released the Transformers Pretenders, small robots (which were mostly quite basic) which hid inside shells. for the Heroic Autobots (as they were back then), they were Humanoid based on the most part, where as the evil Decepticons, were based on ‘Classic’ Monsters. Of course, at the same tie, they released them in a few size classes, having also the Pretender Beasts (the shells were animals with no articulation) and the vehicles which were a vehicle based shell. They later then to do more and more range in 1989. 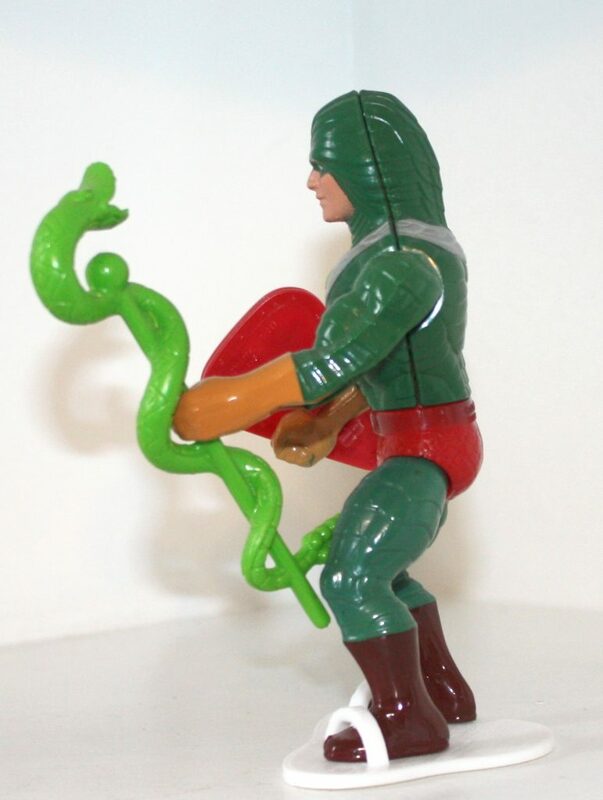 Where as the pretender shells suffered from only arm articulation, King Hiss was pretty good. 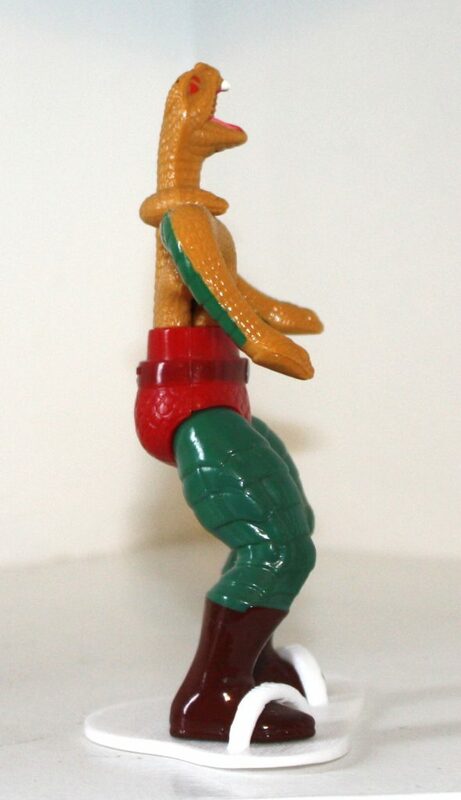 as both arms were fine, the legs (not being part of the shell) worked well as normal MOTU figures,.. I can’t remember the waist.. the main loss was the neck. For the heroic design of the shell, it looked okay but kinda lost some points in, well, a very transformers way.. His disguise had the Snake Men logo very clearly shown and highlighted… you can just picture it.. The paint on the snake ‘arms’ worked pretty well but I wish they would have merged it in more to the paint scheme of the snakes.. like giving them green underbellies or something.. 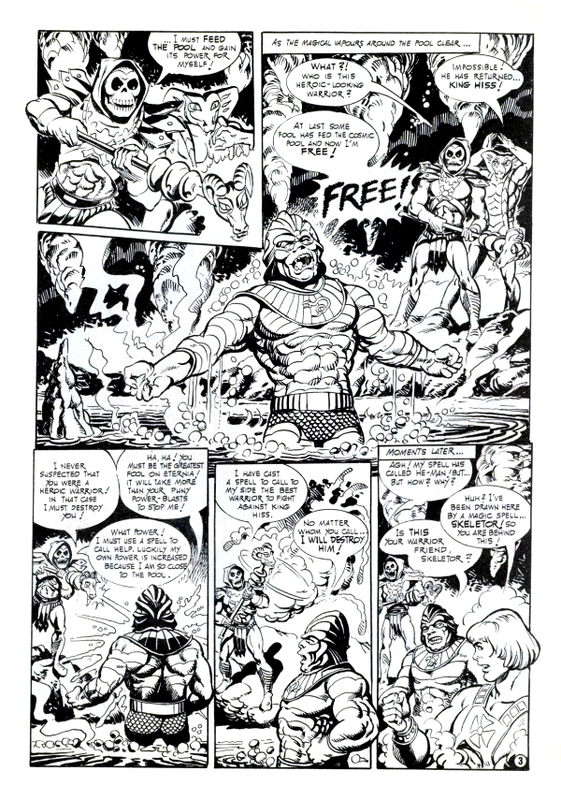 When it came to comic appearances, Artists never got the head right. 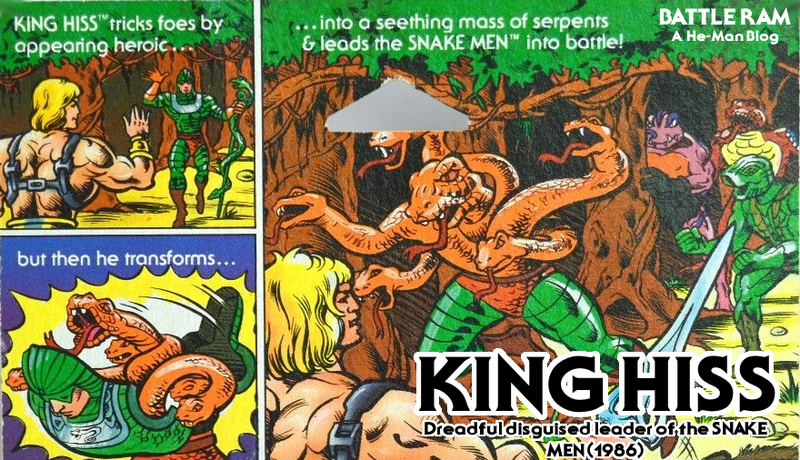 King Hiss and The Snake Men were for the latter end of the line where I still collected and liked the franchise, but had generally lost interest and enthusiasm for the later additions, feeling things had become too unfocused and gimmicky – even back then as a boy, I had developed my “original barbarianesque mini-comics lore” preference/love. 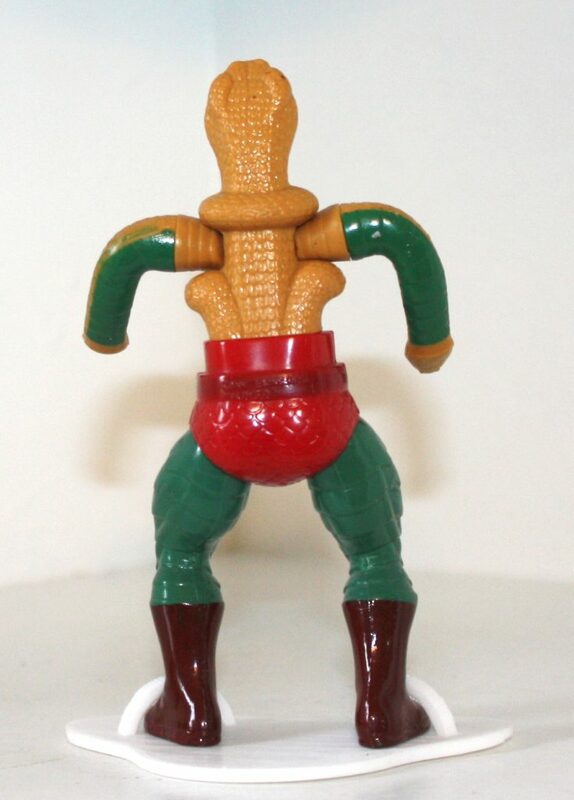 As a result I never had any of the Snake Men figures, bar the earlier released Kobra Khan. 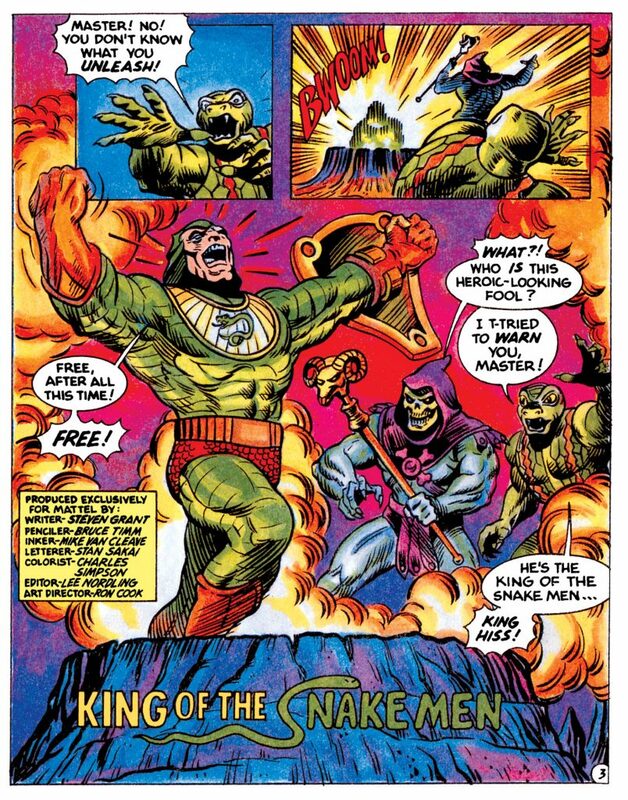 I’m afraid King Hiss in particular did, and still does, feel too gimmicky, especially when the leader of each faction should be immediately iconic… he just never really felt like that too me. The toy… well I guess it’s an interesting concept, but looks very clunky and goofy, even when allowing for the standards of the time. 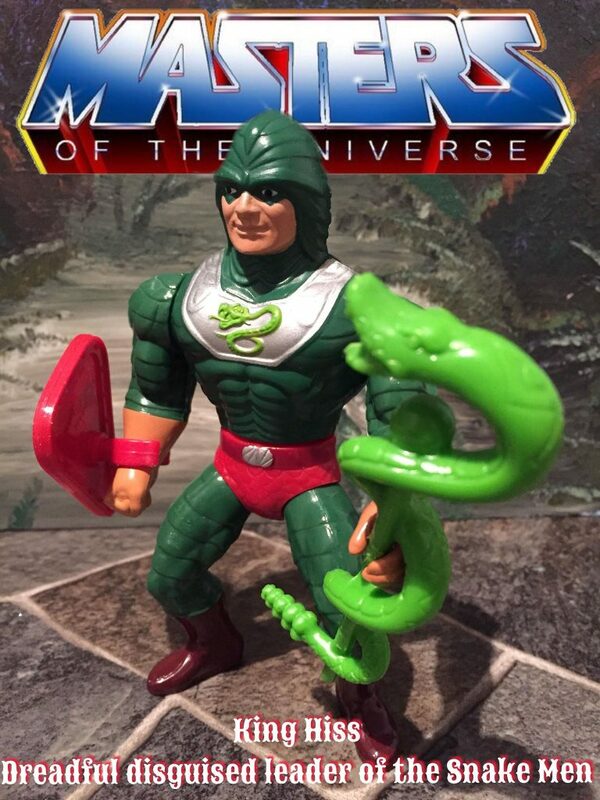 I think I could maybe have forgiven it slightly if he had just been a member of the Snake Men with this feature, not their mighty leader, but as that mighty leader… like I say, just didn’t feel iconic enough. To look at a major villain-leader, I always felt their look should tell you right away what they’re all about, so for a leader who’s main “thing” is to spend half his time in disguise, nope, never really worked for me. 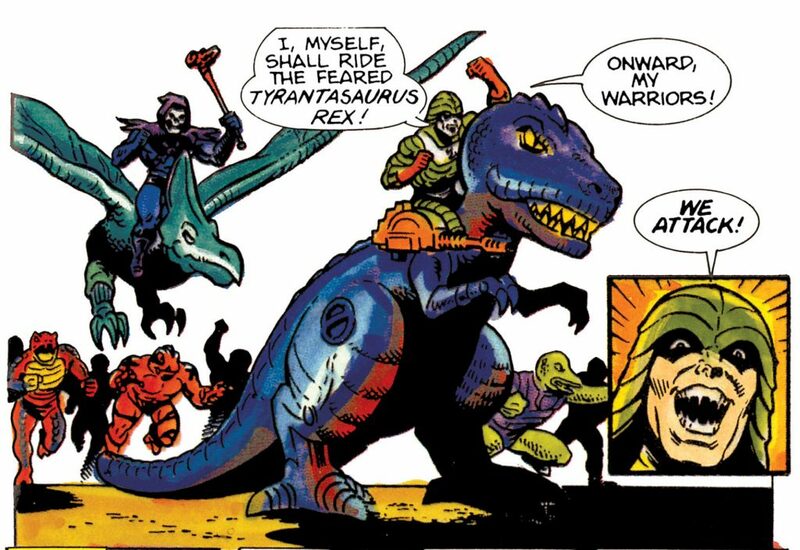 And how did the feasibility of that disguise actually work, would it really have fooled the Heroic Warriors over and over again, or maybe one by one? “Hello Sy-Klone” “Hello there stranger” “Raaaaghh” “Oh my, you’re….” Well you get the idea. Maybe if it had been written into his character that he was more of a master of disguise than just having the one outer body, this might have seemed a bit more feasible. Medieval hybrid world they originally inhabited. 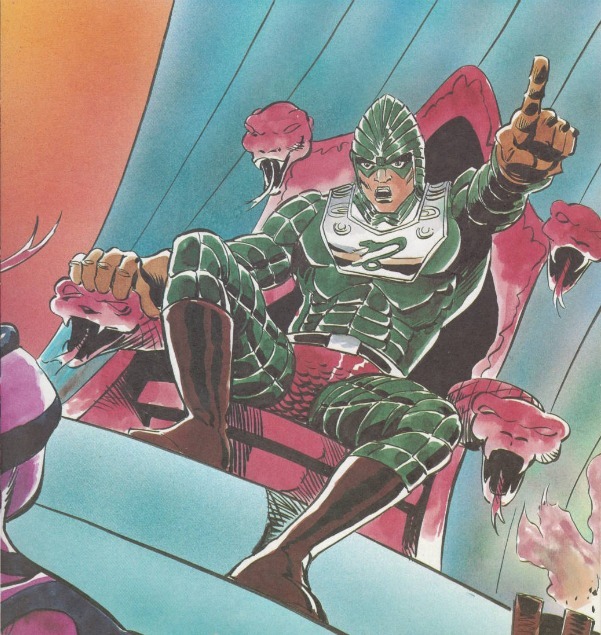 Although I didn’t like every single thing the 200x franchise changed, I did like in that version that they seemed to designate General Rattlor somewhat as the ‘main’ leader of the Snake Men to an extent, with King Hssss more assigned to being an ancient God/deity that they worshipped, which I felt worked better. 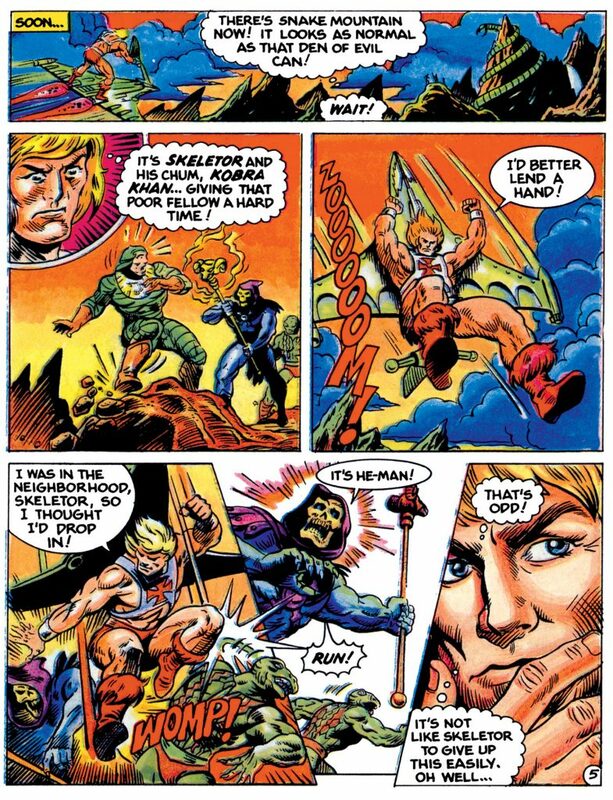 Uhm I can’t disagree with the fact that his disguise could never fool He-Man and the other heroic warriors more than one time, but to be honest is very obvious: I always assumed that his disguise was for fooling the people of Eternia, not the heroes. 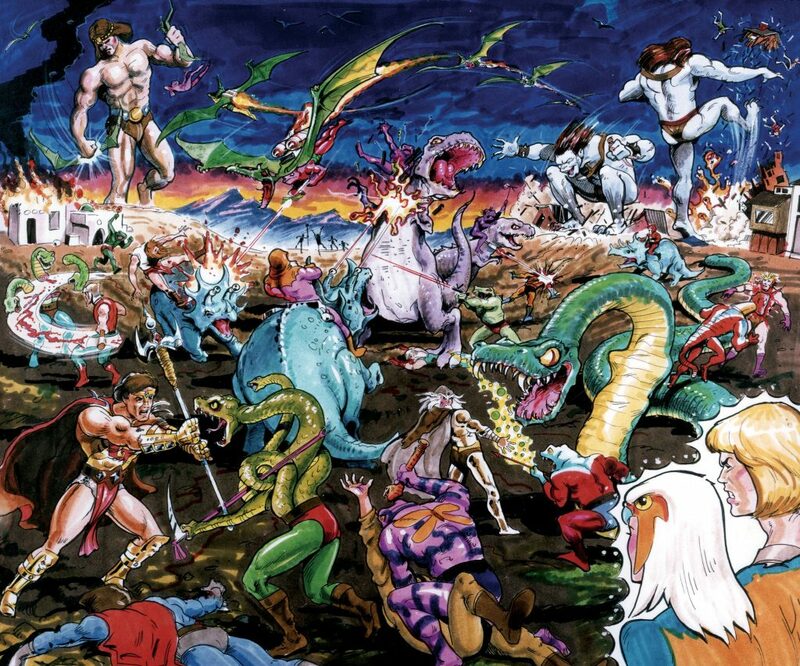 Eternia is a very big place and they have not tv, radio or other such things, so King Hiss has a vast supply of individuals, tribes, villages and maybe even cities who never heard about him and the Snake Men to fool into whatever scheme he is working on at the time. 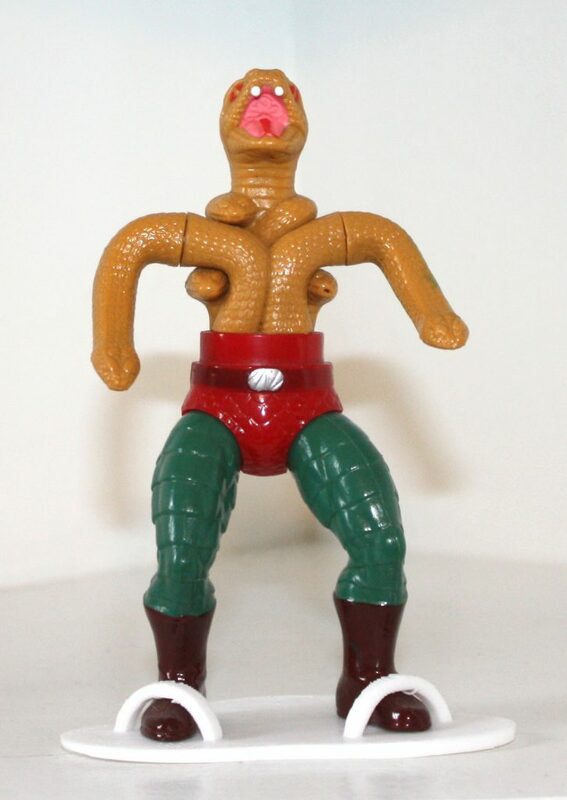 He could easly travel to some remote region, make his Snake Men attack some city and then pose as a hero and stage his victory against the “evil monsters”: starting from there he could conquer the city and all its resources from inside and He-Man maybe will never know because again, Eternia is a vast place.